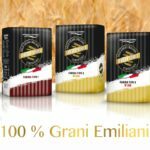 The Umbrian company of Trevi (PG), the Italian reference point when it comes to flours for professional uses, will be presenting its brand new products for 2019 at the great international food showcase at the Rimini Expo Centre from January 19 to 23. 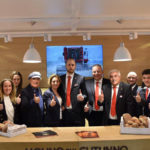 For Molino sul Clitunno, the latest two editions of Sigep have been the chance to present great innovations both in terms of product and in terms of research, training and digitalisation. We expect the 2019 edition to be even more important as we will be enjoying the fruits of years of investments and will be sowing the seeds for the future. 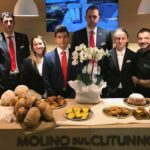 At the 40th edition of the International Trade Show of Artisan Gelato, Pastry, Bakery and Coffee, held in the Rimini Expo Centre, the first new feature will be the Molino sul Clitunno exhibition area. This year, you will find us in a more central position with respect to the previous editions (Hall D5 – stand 113). Our showcase will be also much more functional, comfortable and “customer oriented”. In this new setting, we will be premiering the brand new Molino sul Clitunno product: the “Oro Puro” line of flours. Five references, produced using only certified Emilian wheat, which will certainly arouse the interest of professional bakers and pizza makers. Top quality flour that satisfies the needs of today’s consumers. Genuine and healthy products created by carefully selecting raw materials and skilfully processing them to obtain flour with superior organoleptic properties. This result is part of the company’s policy that has focused on a 100% Made in Italy production chain. 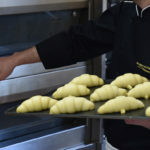 Three type “0” flours: two stronger (W400 – W300) which are suitable for baking leavened patisserie and, in particular, croissants; a mix (W 230) for bread and pizza with a medium leavening time. A wholemeal flour for baking highly digestible products and a type “1” to close the circle with a perfect blend of the healthiness of wholemeal flour and the stability that is typical of type “0” flour. The best-selling products of the company will not be missing: stone-ground wholemeal flour or flour with cereals, such as the cereal pizza mix, which is ideal for making particularly digestible, light and fragrant pizza with that extra flavour and with a rich content of fibre. Stone-ground flours (wholemeal and type 1) for making bread with a high protein content, with less calories and more fibre and vitamins (B1, B3 and B5), as well as more iron, calcium and mineral salts. The renowned “Pandelclitunno” flour, a special bread-making mix to obtain bread that is crusty outside and soft inside, with fibre, buckwheat and spelt and “Ottocento”, another mix for bread-making with a rich content of fibre, vitamins and protein, for a balanced and tasty diet, containing type 1 stone-ground flour and wholemeal rye flour. 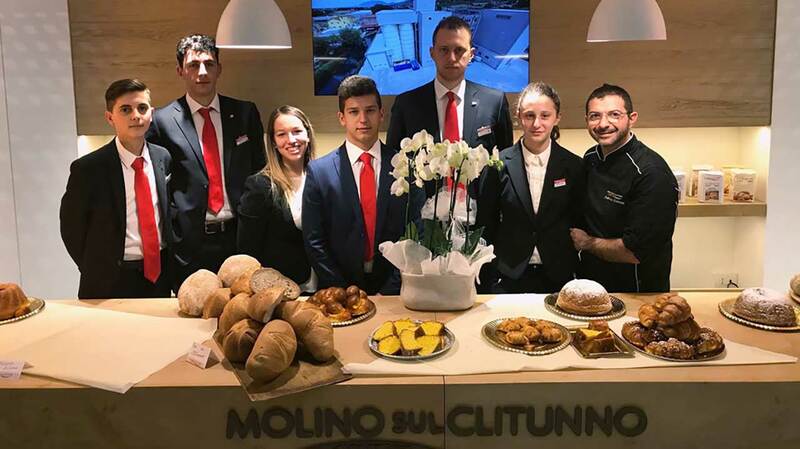 Sigep 2019 will also give us the chance to present the new Molino sul Clitunno website, which has a new layout and features better tools for searching for products to offer an optimised browsing experience even to less expert users. 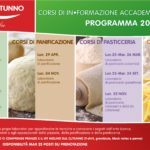 Developed with responsive technology and linked to social networks (Facebook and Instagram), the new web platform will keep all users constantly updated on the expo and will provide a day-by-day program on the events that will be held at the stand with the master bakers of the “Antico Fienile” Academy during the 5 days of Sigep. You can also view newsletters, apply to attend our training courses and ask for sales information on our products and services directly from your smartphone.